If tablet history teaches us anything it’s that Android and Windows tablet vendors are loath to learn from the lessons of their costly past errors. Samsung announced pricing for its Galaxy Note 10.1-2014 Edition, repeating the mistake it, Microsoft, Motorola and so many other tablet vendors have made in the past – Pricing their tablet at or above the level of the market leading Apple iPad tablets. Samsung’s starting price for the new Galaxy Note 10.1-2014 Edition is $549.99 (16GB), $50 more than the entry-level iPad, and $599.99 for the 32GB version (same as Apple’s 32GB model). Although the iPad’s market share has dropped to 42.7% in the second quarter of 2013, it still rules the tablet business with double the share of its nearest rival Samsung. Samsung, Amazon’s Kindle Fire and the cheap no-brand tablets from China have had some success in the smaller, 7-inch tablet category but struggle to sell their larger screen tablets. What has likely emboldened Samsung into pricing the Galaxy Note 10.1-2014 Edition $50 higher than the entry-level iPad is that it increased its share to 21.6% in the second quarter from 7.8% a earlier. But Samsung seems to forget that it still trails Apple by a huge margin. For a tablet vendor to take on iPad in a big way with larger screen tablets it must price its device below the iPad. Failure to do that will mean encountering consumer resistance and building up inventory (like Microsoft) or going down the slippery path of discounting (like most Android tablet vendors including Samsung do). Consumers have repeatedly made it clear that they are loath to buy large-screen tablets that cost higher than the iPad. Sure, a few here and there will but not in any significant numbers. The Galaxy Note 10.1-2014 Edition will ship on October 10. Pre-orders start on September 27. Like the PC companies that used to bundle tons of crapware into their computers to the great annoyance of users, Samsung has done the same with the Galaxy Note 10.1-2014 Edition. 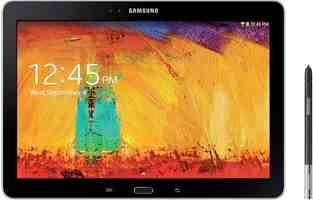 Samsung has reached deals with Hulu Plus, SiriusXM, Boingo, DropBox, Bloomberg Businessweek and New York Times to bundle limited time versions of their products with the Galaxy Note 10.1-2014 Edition. Samsung has failed to learn the most important lesson from Apple – Providing a good user experience to the buyer is paramount, more important than dumping crapware on users’ tablets for the sake of earning a few dollars on each tablet. IDC Errs in Tablet Shipment Forecast Cut Surface Mini – Doomed at the Gate?